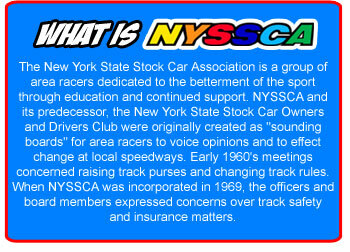 Story By: RON HEDGER / NYSSCA - ALBANY, NY - After a spirited round of voting, the Hall of Fame committee of the New York State Stock Car Association has elected a long time car owner and a trio of outstanding drivers for induction into the association’s prestigious Hall of Fame. Saratoga Springs, NY car owner Jerry Rose fielded mounts for a number of high profile drivers, among them Brian Ross, Pete Corey, Eddie Pieniezak and Lou Lazzaro. Many, such as Ross and Giroux, drove the Rose #93 early on in their careers, learning their trade from the master mechanic and owner who fielded mounts for some 18 drivers over a career that lasted from the late 1960’s through 1985. Like so many successful owners, Rose started out as a driver but decided that end of the sport wasn’t for him. Never afraid to go on the road, Rose competed at Trenton, Langhorne, Stafford Springs, Thompson and a host of other speedways. But his biggest score came on Long Island’s 1/5 mile Islip Speedway, where Lazzaro claimed the Islip 300 in a Pinto fabricated by Rose. Of the three star drivers, western New Yorker Gary Iulg is the only one who has retired. He is joined in the Class of 2019 by Southern Tier superstar Curt Van Pelt and Central New York legend Pat Ward, both of whom are still extremely competitive after decades of competition. Van Pelt, nicknamed “Captain Quick” by announcer Gary Montgomery, started in the Hooligans/Late Models at the Woodhull Raceway in 1977 and was soon winning races and track titles by the handful. By 1982, Curt and his car owner, father Jim Van Pelt, decided they were ready to advance to the modifieds, immediately winning the division championship at the Circle K Speedway. 1987 found Van Pelt as a “hired gun” in the Sherwood #11JR, which brought the team the title at Woodhill, a second place in the Dundee standings and the overall 358 modified MR. DIRT title on the strength of wins at Woodhull and Brockville and the most top five finishes of any team in the series. Van Pelt would drive for a number of top teams over the years, including owners Rick and Corky Thumb, the Shutt family and Ted White, a pairing which brought great success until White purchased Woodhull Raceway and retired as a car owner. He continues to race for a variety of owners and his resume shows some 135 feature wins, eight track titles and the highly prized MR DIRT championship. Iulg was a racer in the mold of fellow Hall of Famers Dutch Hoag, Bill Wimble and Lou Lazzaro, equally as good on asphalt as he was on dirt. A big winner at Ransomville and Merrittville on the Niagara frontier, Iulg was the ’75 and ’76 Ransomville champion before becoming equally successful on the road. He scored major dirt wins such as the July 4th Classic on the Syracuse Mile and the Robert Petrocci Memorial and Northeast Showdown at Rolling Wheels as well as scores in Florida at East Bay and Volusia. And on the asphalt, Iulg graced Victory lane in Lancaster’s Genesee 100 and the highly competitive Oswego Budweiser 200 on Classic Weekend. Iulg’s dirt resume shows wins at such diverse facilities at the Orange Co. Fairgrounds, Canandaigua, Waterloo, Utica-Rome, Speedway 7 in Ohio and Weedsport and on asphalt at Lancaster, Perry and Oswego, though an exact win total remains elusive. It may seem like Pat Ward has been running a red #42 modified forever but in actuality, his career started in Central New York in 1975. For many years, Pat fielded his own car with the assistance of his father, Bud, before moving on to the Gypsum Express Team of John Wight, where he continues to be a steady winner and top-five competitor. 1986 found Ward taking up Saturday night residence at the Fonda Speedway for a few seasons. He has since notched some 23 wins there along with 14 at Brewerton, 18 at Weedsport, 22 at Fulton, six at Canandaigua, five at Five Mile Point and four at Rolling Wheels. Major scores include the Outlaw 200 at Fulton in 2012, the NY State Fair classic in 1998 and an ROC series score at Selinsgrove, PA in a rare visit there. Ward won consecutive Race of Champions series championships in 2007, ’08 and ’09 to go along with the overall Mr DIRT 358 title in 2004. His resume also includes a pair of Utica-Rome championships and single titles at Fulton and Can Am Speedway. Rose, Ward, Iulg and Van Pelt will be formally inducted in a ceremony at the Saratoga Automobile Museum on Saturday, February 23, 2019 at 11 am, with the public invited to attend and interact with the Hall of Famers. The museum’s Racing in New York gallery houses the permanent NYSSCA Hall of Fame display. 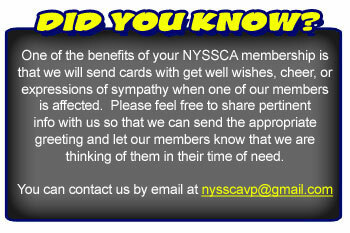 That evening, the annual NYSSCA awards banquet will be held at the Polish Community Center on Washington Avenue Extension in Albany from 4:30 pm.